Contact Debra Bassett (508)246-1302 for details or questions about this beautifully sited property in one of Brewster’s most popular neighborhoods. Across from Drummer Boy Park and situated on 1.38Acres, this one-owner home features quality workmanship, soaring living room with floor-to-ceiling Fireplace; an open floor plan; and first floor master. The spacious kitchen w/stainless & granite and dining area opens to the large deck; perfect for entertaining. The open floor plan, 2nd floor expansion potential, walkout lower level with large family room, sliders to a patio; 2 sizable bedrooms; another full bath, laundry area offers space and privacy. The lot offers privacy, gardens, and fencing in the rear yard. Walk to Red River Beach from this Spacious, comfortable & warm home set on 1.5 acres of privacy just .3 miles to Nantucket Sound. This home features easy living one level. The cozy living room opens up to the bright eat in kitchen with pedestal table & stools & one more kitchen table with dining comfortably for eight. The large private deck provides ample room for family gatherings. Enjoy relaxing in the family/game room with three walls of large glass windows for lots of light while still enjoying privacy as the home sits up on a hill surrounded by foliage. En suite master bedroom with flat screen T.V. is spacious yet cozy. Three other bedrooms share a wing & full tiled bath. Linens are provided. Amenities include ductless A/C and or window units in bedrooms and a window unit for living room, kitchen and dining room, each bedroom (except bunk bedroom) has a ceiling fan too, ceiling fans in kitchen and family room too. Cable, Wi Fi, 3 Flat screen T.V.s, VCR/DVD player, washer/dryer, dishwasher, microwave, gas grille, large deck, outdoor shower & beach chairs. 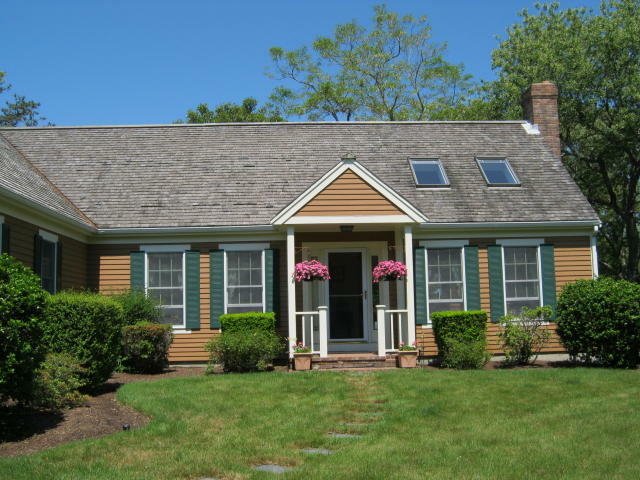 Enjoy your Cape Cod vacation at this fantastic retreat. 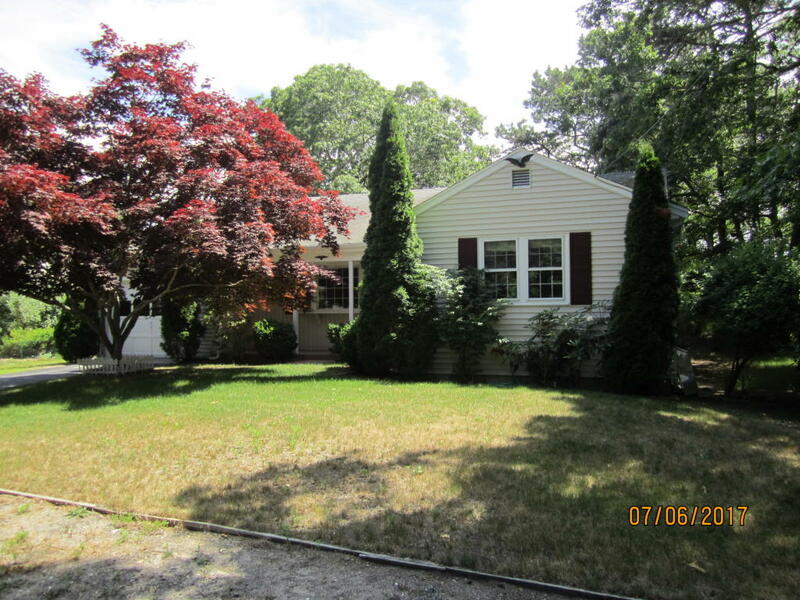 July 9th from 11 – 1 at 82 Ridgewood Drive in Brewster. 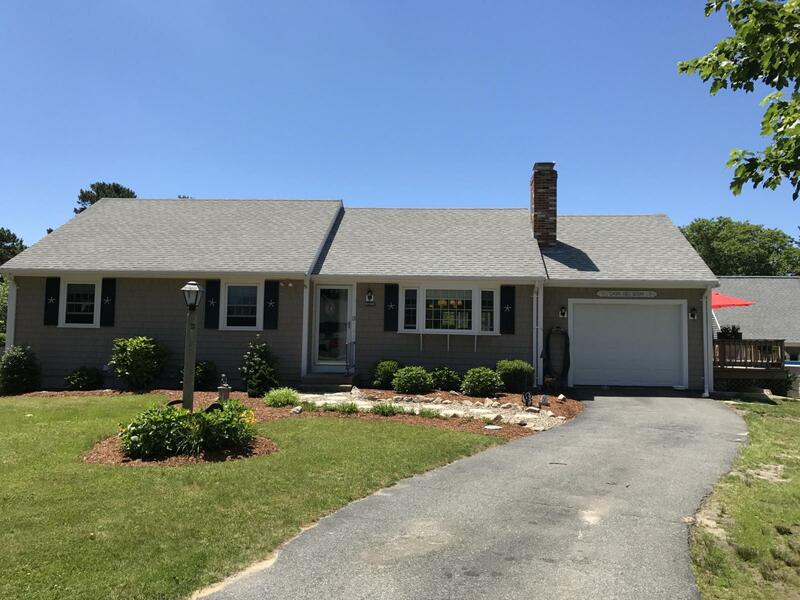 Contact Debra Bassett (508)246-1302 for details or questions about this beautifully sited property in one of Brewster’s most popular neighborhoods. Across from Drummer Boy Park and situated on 1.38Acres, this one-owner home features quality workmanship, soaring living room with floor-to-ceiling Fireplace; an open floor plan; and first floor master. The spacious kitchen w/stainless & granite and dining area opens to the large deck; perfect for entertaining. The open floor plan, 2nd floor expansion potential, walkout lower level with large family room, sliders to a patio; 2 sizable bedrooms; another full bath, laundry area offers space and privacy. The lot offers privacy, gardens, and fencing in the rear yard. July 8th from 1 – 3 at 29 Jet Way in East Dennis. Contact Laurian Schultz (508)237-9777 for details or questions about this 1280+square foot ranch home in desirable Dennis. Easy one floor living with a spacious eat in kitchen, living room with fireplace, first floor laundry, and a single attached garage.